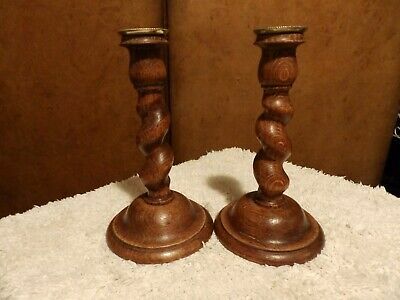 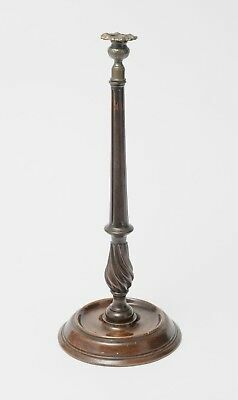 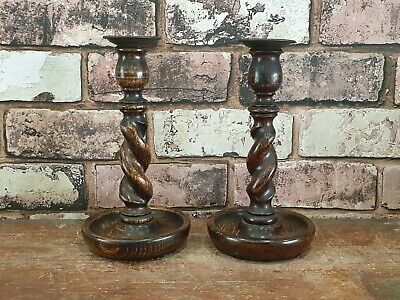 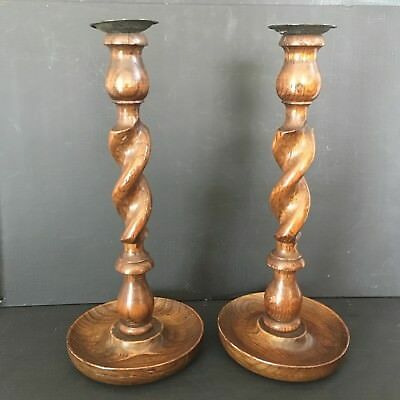 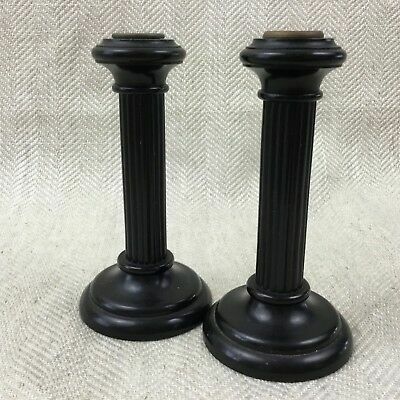 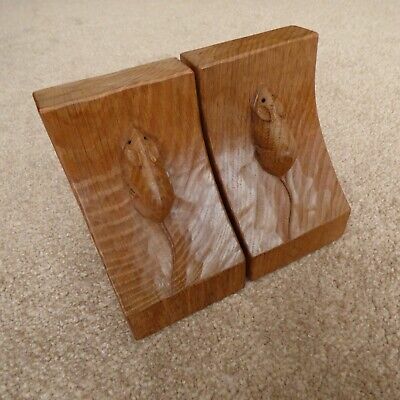 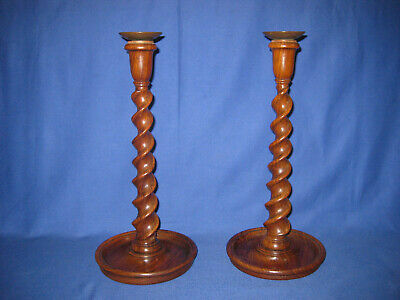 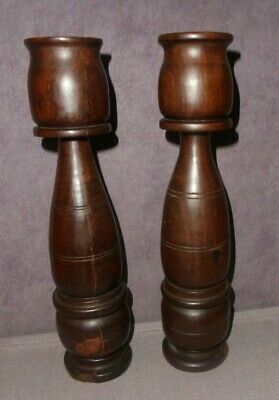 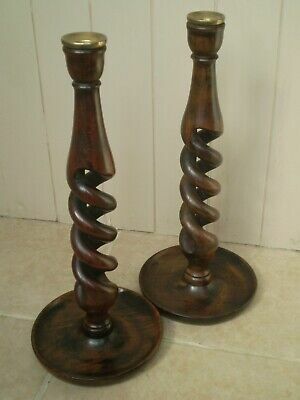 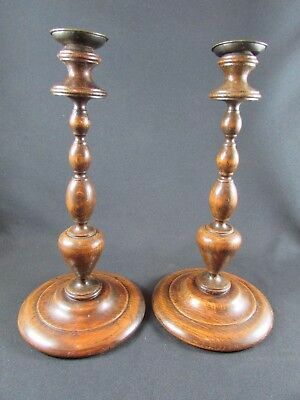 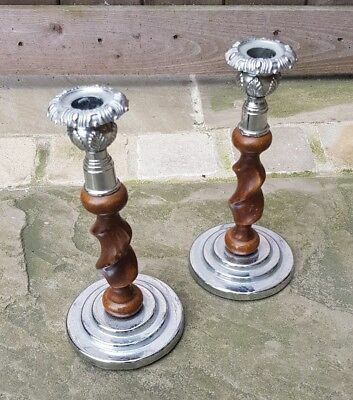 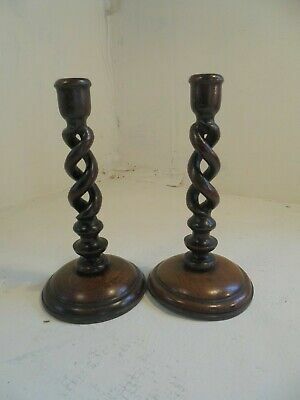 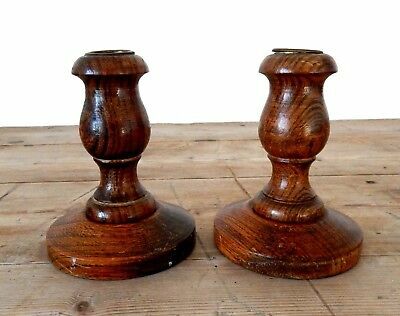 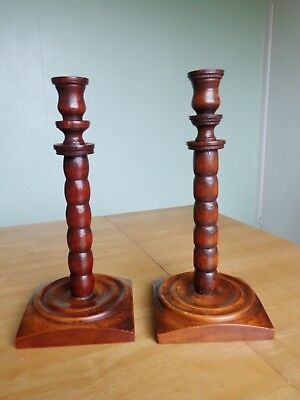 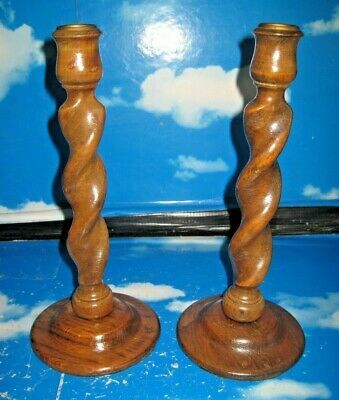 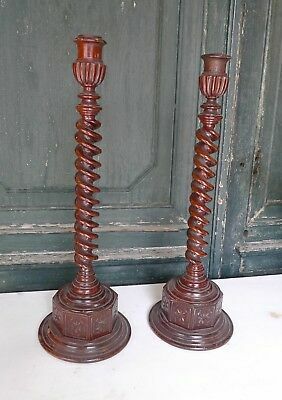 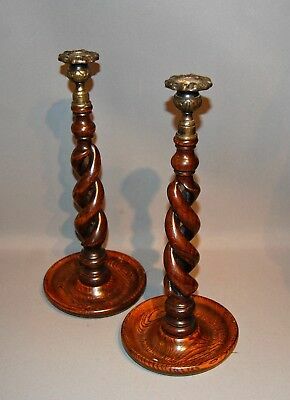 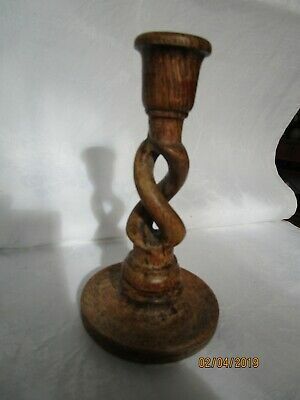 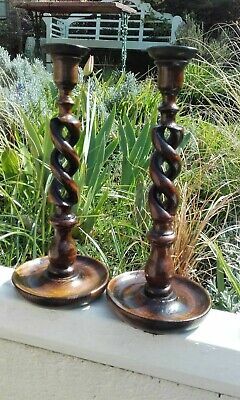 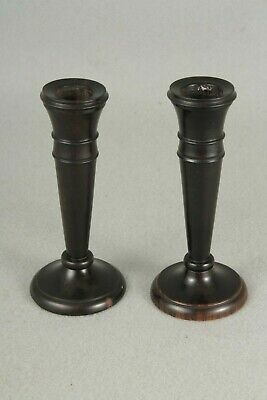 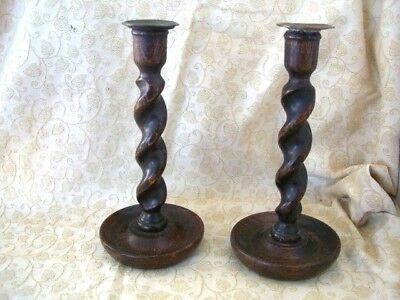 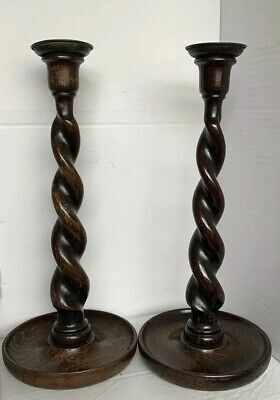 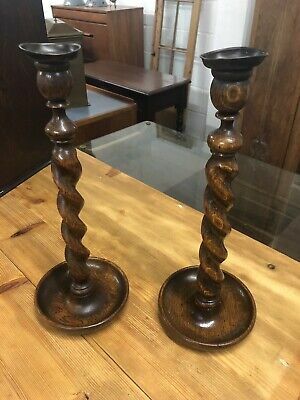 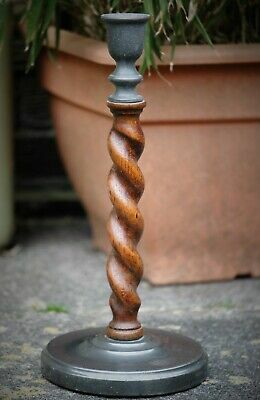 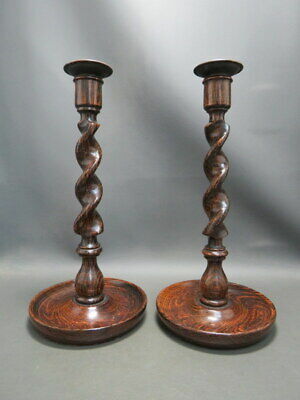 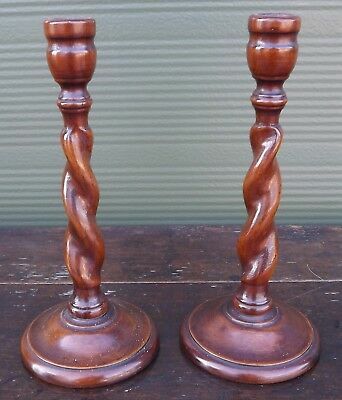 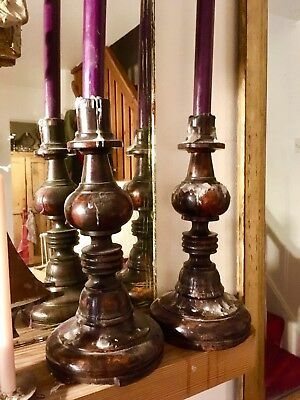 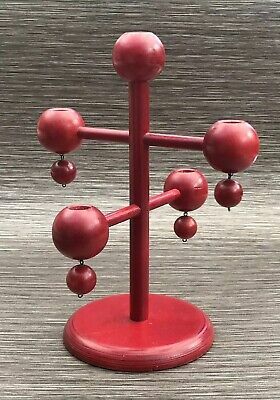 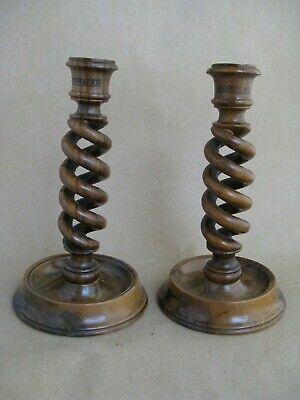 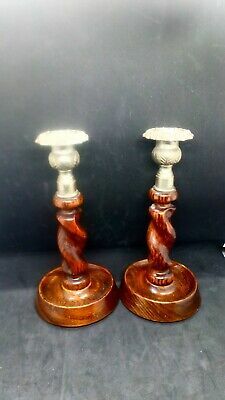 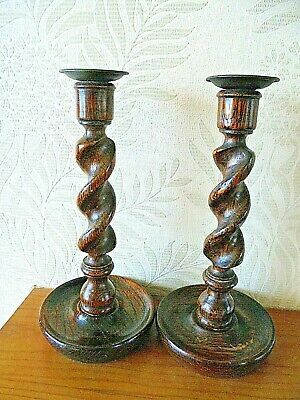 A Large Antique, Vintage Pair of Oak Barley Open Twist Candlesticks. 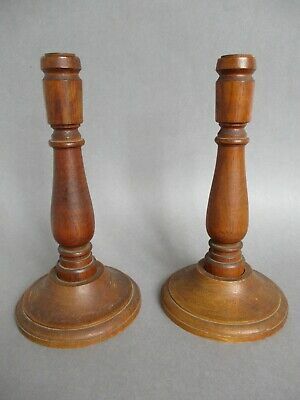 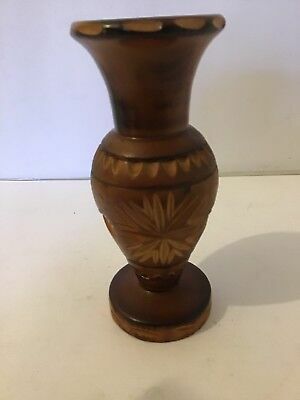 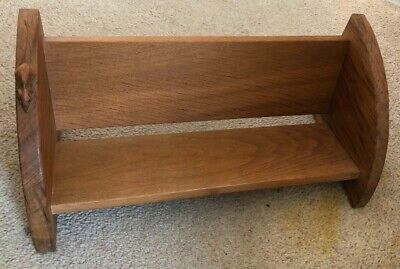 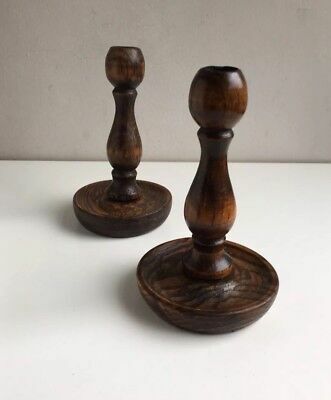 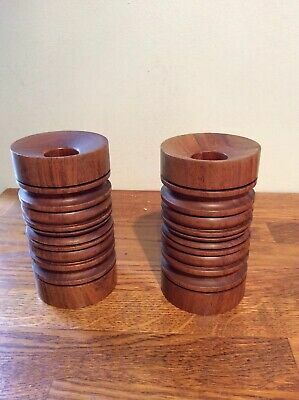 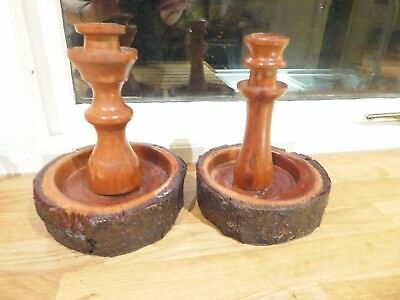 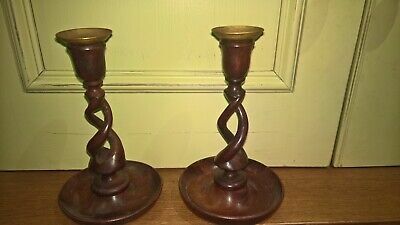 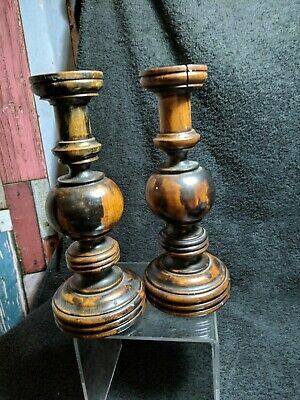 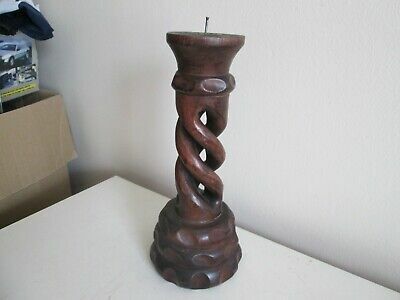 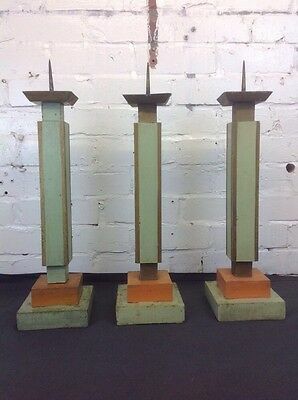 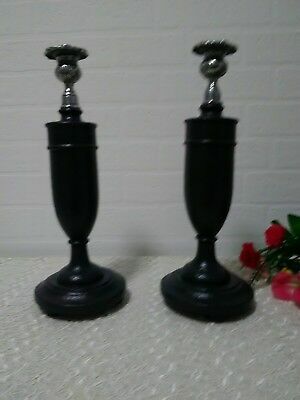 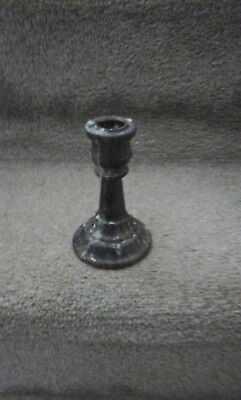 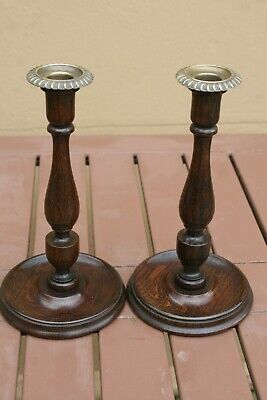 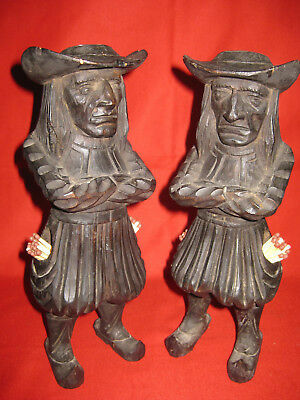 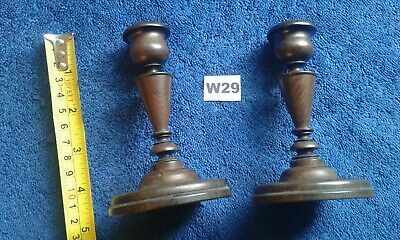 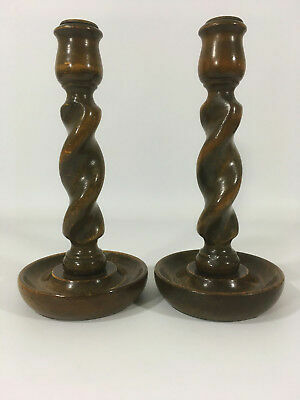 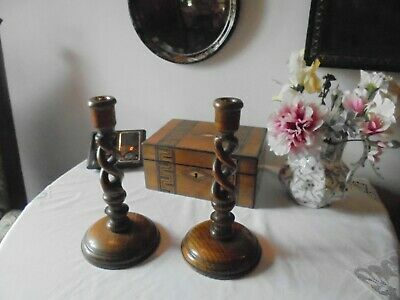 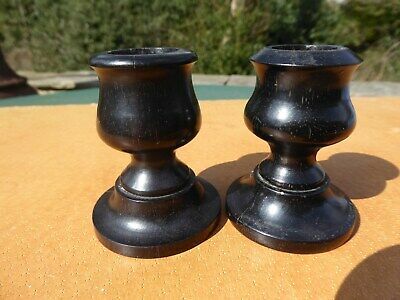 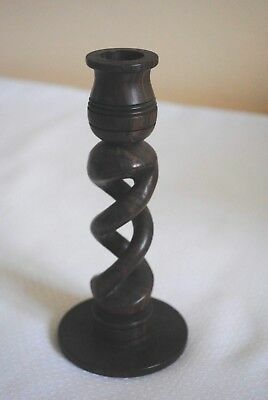 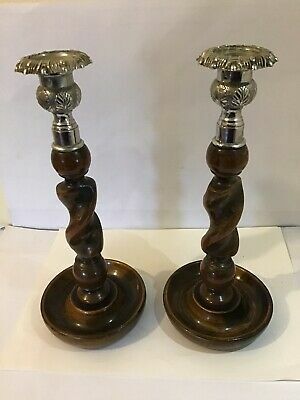 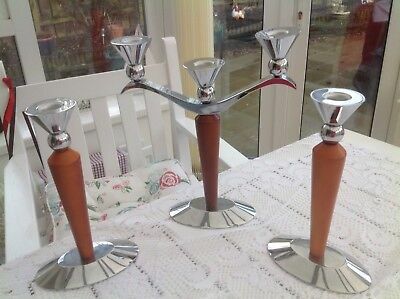 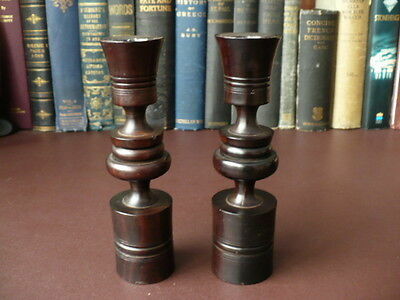 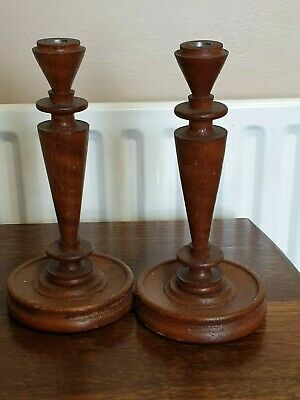 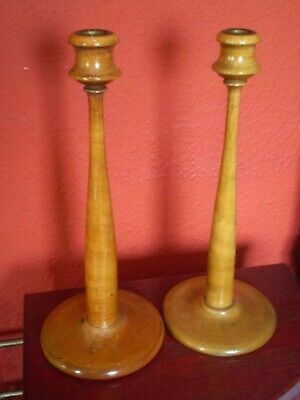 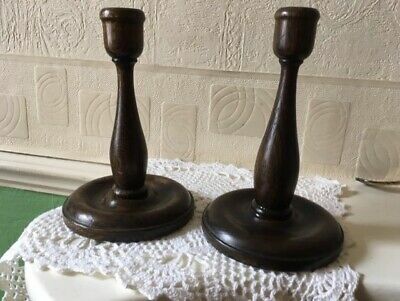 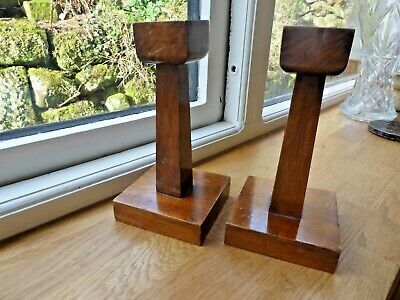 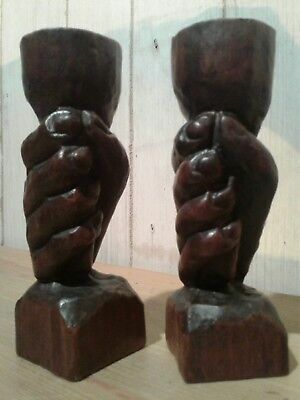 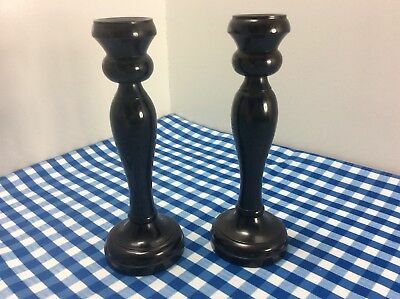 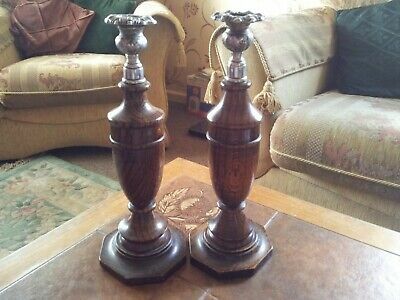 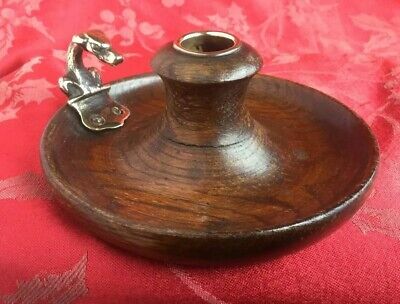 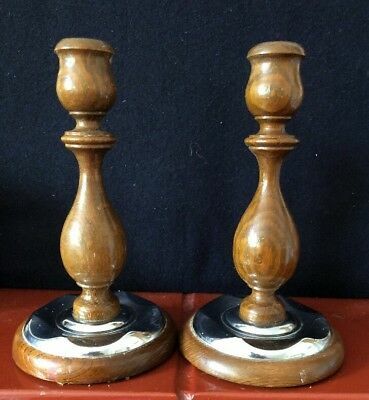 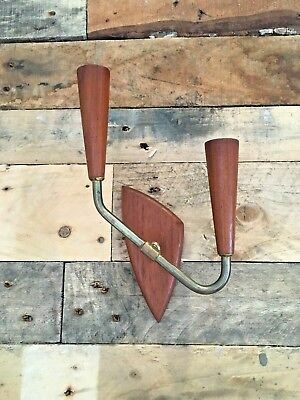 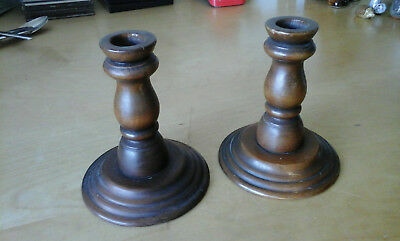 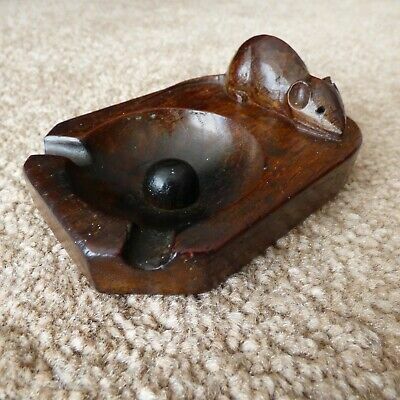 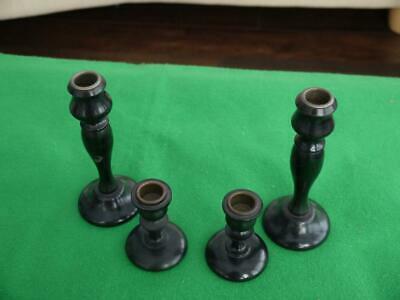 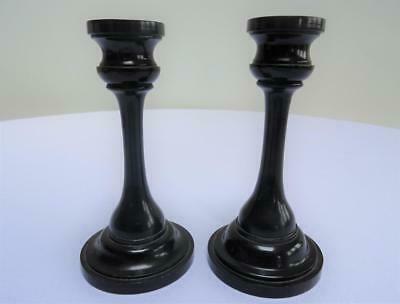 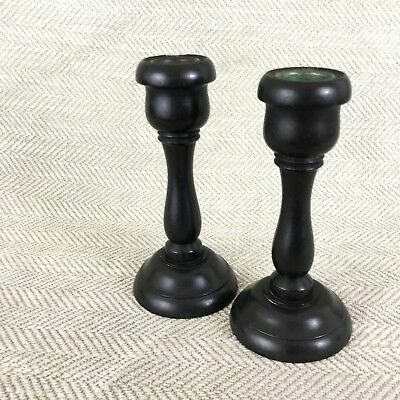 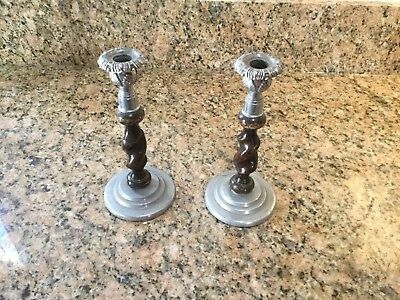 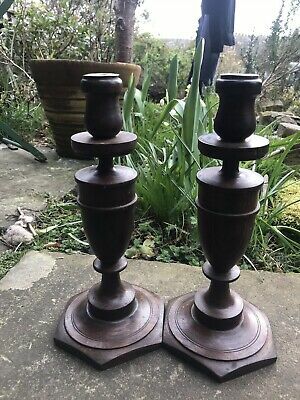 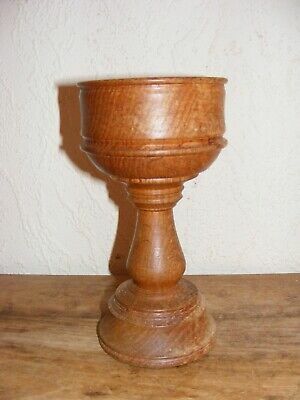 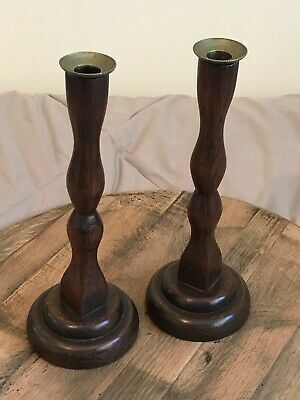 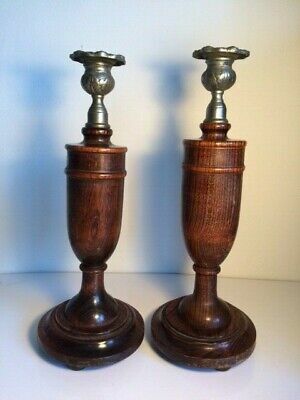 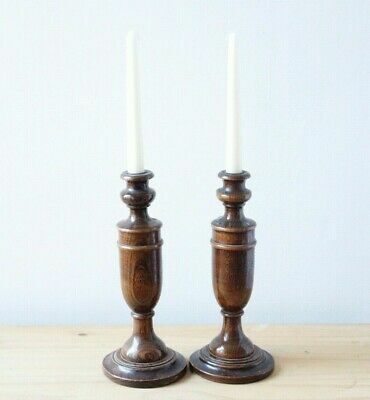 Wooden turned candlesticks pair Olive? 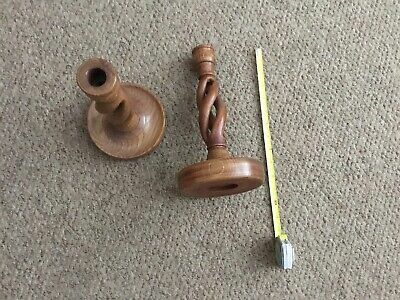 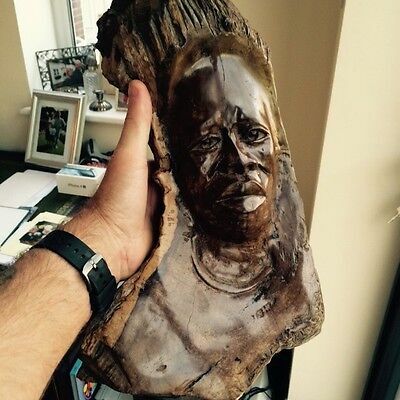 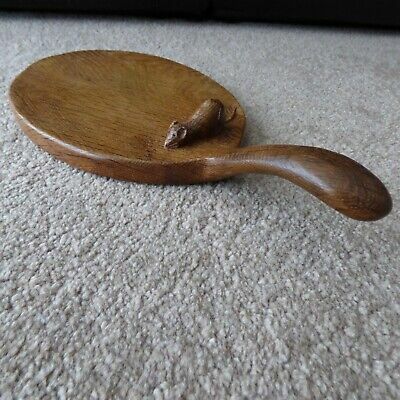 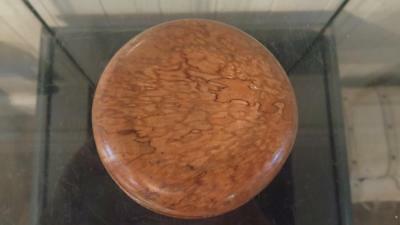 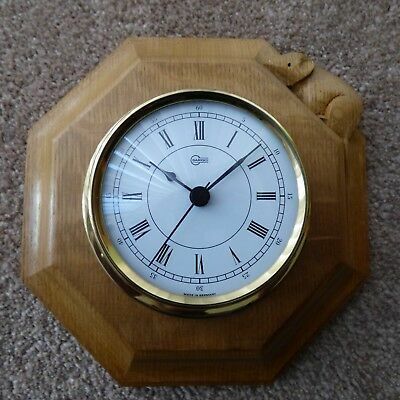 wood interesting shape Holy Land? 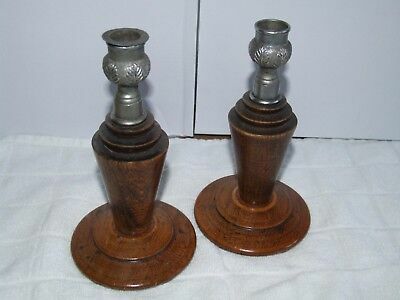 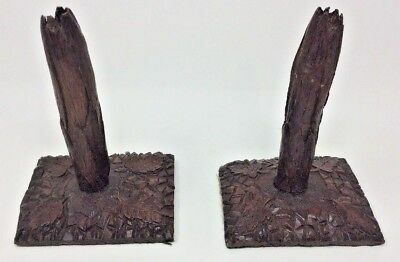 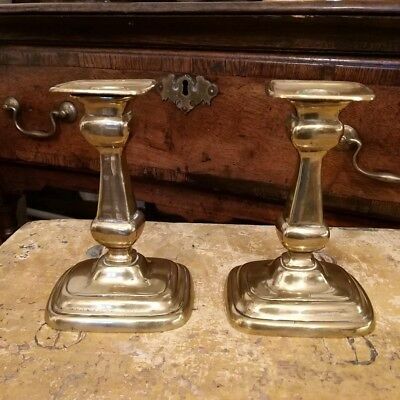 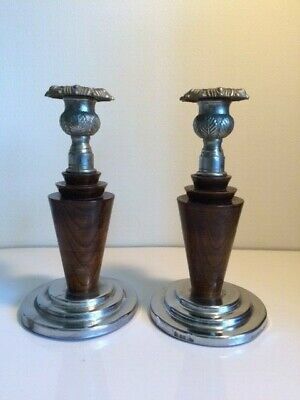 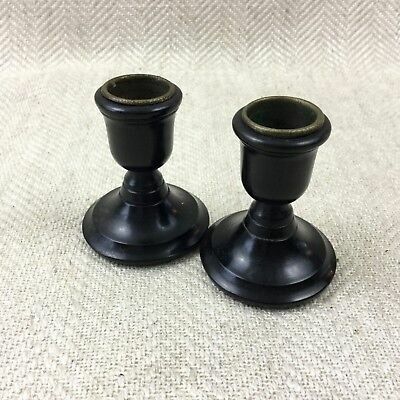 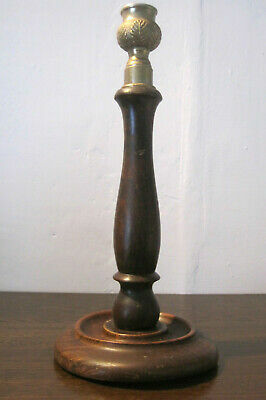 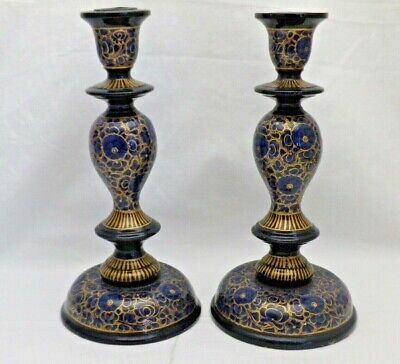 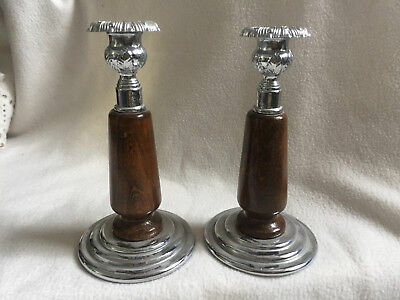 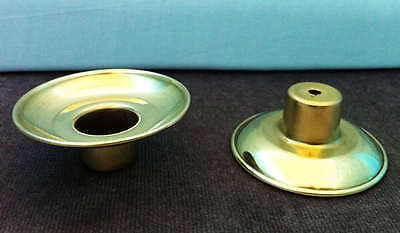 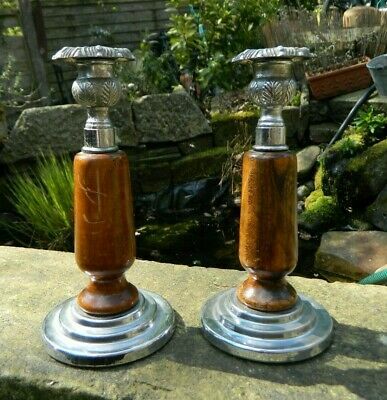 Pair of Edwardian Wooden Oak Candlesticks Brass Tops 11.5"
Edwardian Pair Of Wooden Candle Sticks. 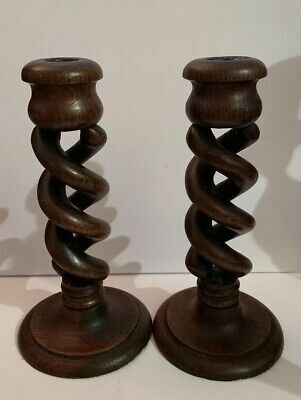 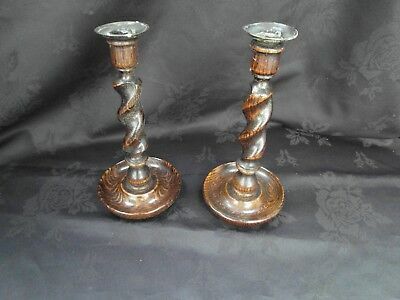 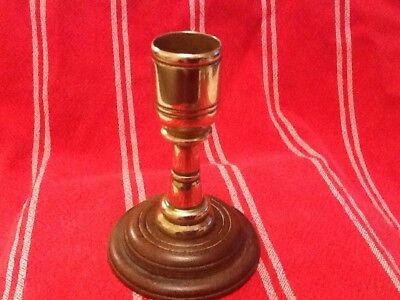 Vintage Pair Of Turned Oak Barley Twist Antique Candlesticks 13.5"
Unusual Brass Candlestick With Wooden Base. 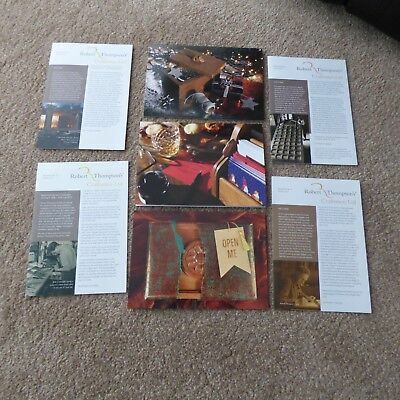 Mouseman 3 Christmas Cards and 4 Newsletters.